Life Love Larson is a your one-stop-shop blog for all things home. Andrea, who describes herself as "a midwestern girl and an Iowa Hawkeye," is a stay-at-home mom, currently raising her family in Kansas City. She believes in finding budget-friendly ways to create a home fitting of her family's personality and lifestyle. "I am always on a mission to make every house a home, one project/recipe/thrift store find at a time!" Andrea writes on her blog. 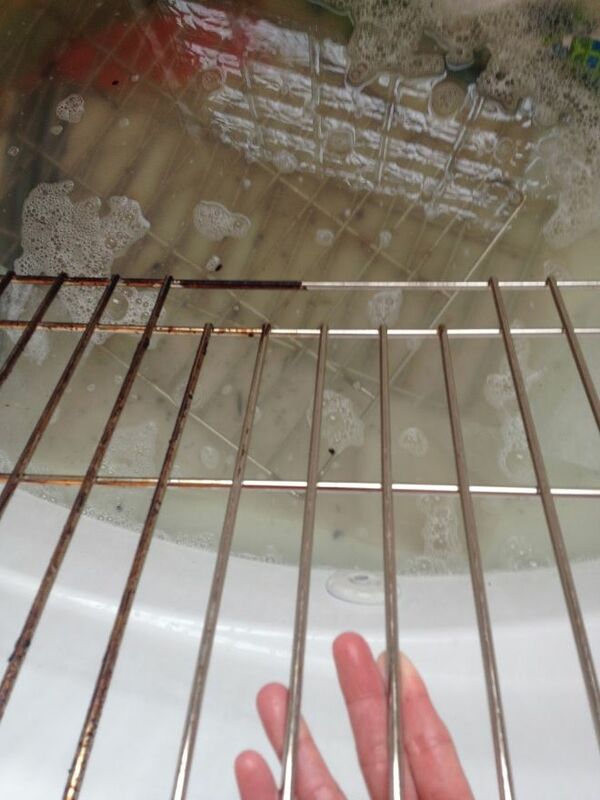 One of Andrea's greatest tips is how to clean oven racks in the bathtub. As she writes, "There is nothing glamorous or pretty about this post, but who doesn't love a sparking clean oven?!" Few things are more difficult to clean than hardened dirt build up on oven racks. Oven cleaners have harsh chemicals that often require you to wear rubber gloves and air out the kitchen. Andrea has found a safer and equally effective solution using dish soap and dryer sheets. To begin, line a bath tub with old towels to prevent scratching the tub's surface. 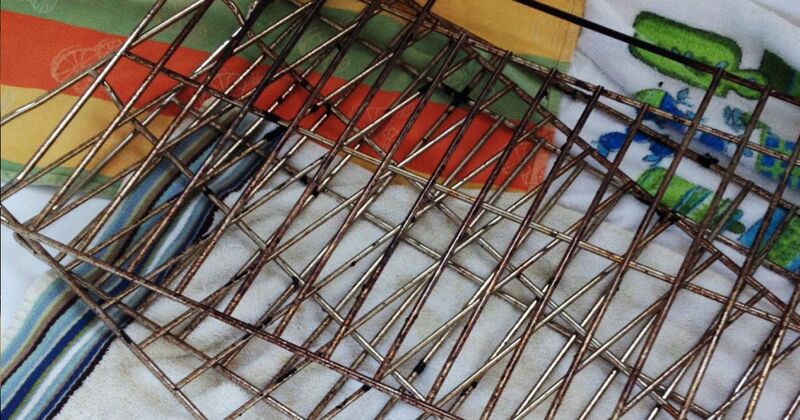 Place the oven racks in the tub and fill it with hot water until the racks are covered. Add 1/2 cup of dish soap and 6 dryer sheets to the water. Allow the racks to sit in this mixture overnight. The next day, the racks will not be perfectly clean, but the dirt will have been significantly loosened. Take your magic ingredient, the dryer sheets that have been soaking in the water, and use them to wipe the remaining dirt off the racks. For Andrea's complete tutorial, visit Life Love Larsen. 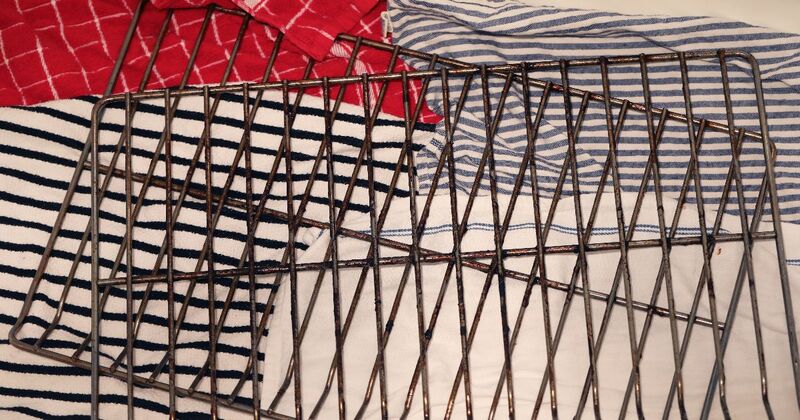 There are many ways to clean your oven racks. YumUniverse suggests making a homemade, all natural oven cleaner using liquid soap, baking soda and white vinegar. 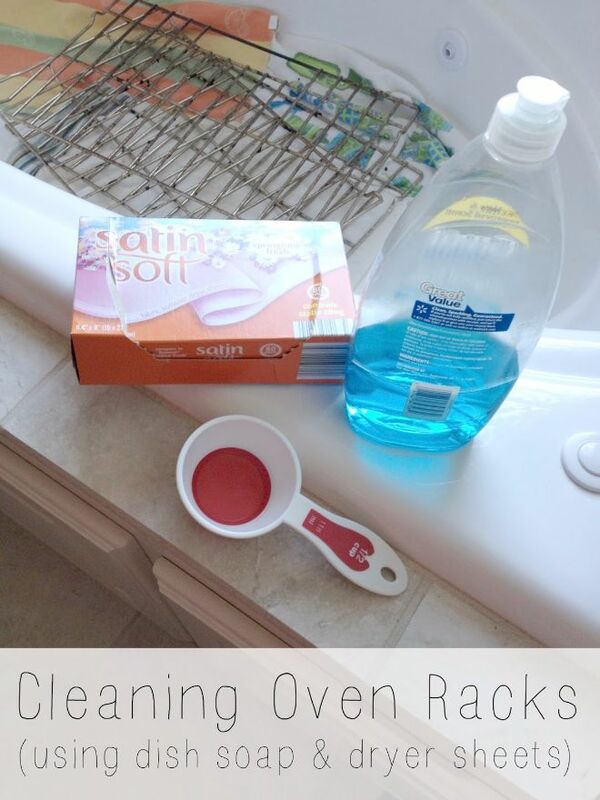 Rooted Blessings has another recipe for natural oven cleaner using essential oils in addition to baking soda and vinegar. 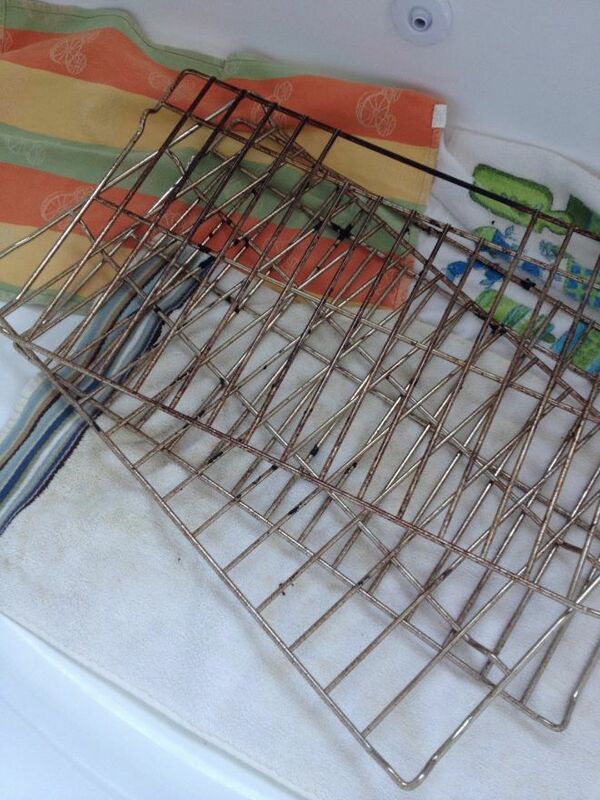 If Andrea's method for cleaning oven racks has transformed your oven from filthy to fab, SHARE this article!